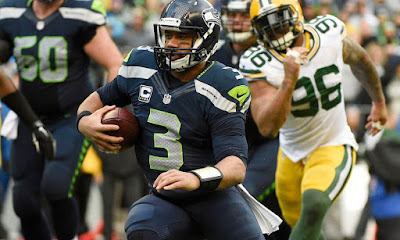 Could Russell Wilson be a nut? I'm one of the biggest Russell Wilson fans there is, but his latest comments about Recovery Water is pretty peculiar. Russell Wilson says that Recovery water saved him from getting a concussion in the NFC Championship game against the Green Bay Packers. This is his tweet "I believe @Recovery_Water helped prevent me from getting a concussion based on a bad hit! #NanoBubbles"